"Nice, quick, easy! Solved my issue! Thank you very much!" 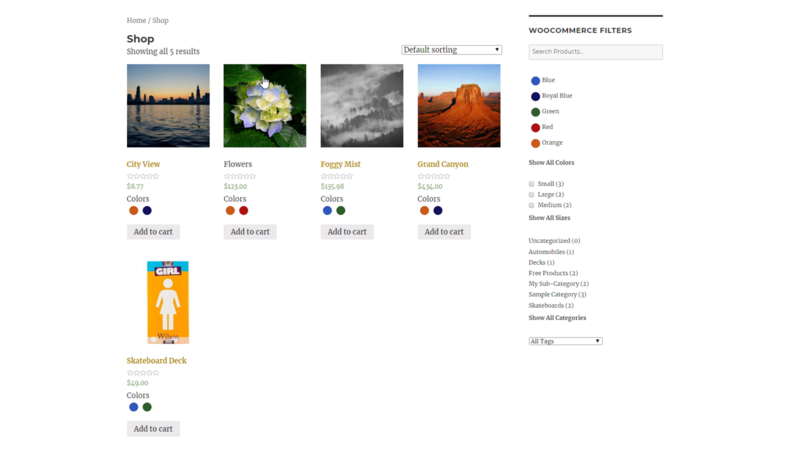 With our WooCommerce filters plugin, you can customize the layout of each filter independently. 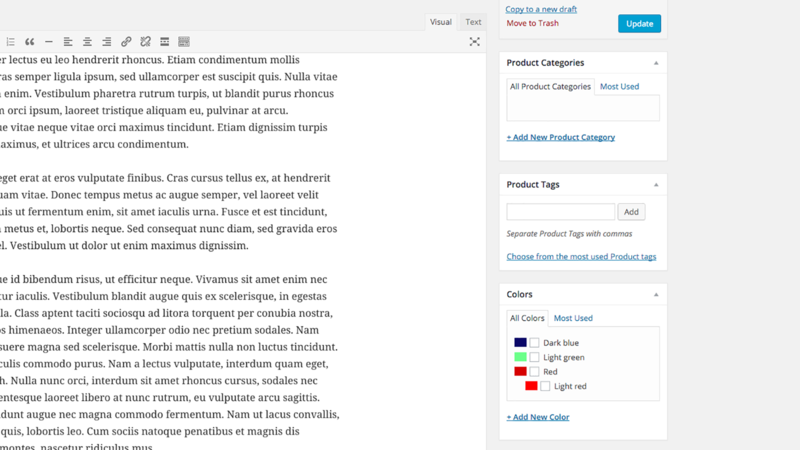 Select from a variety layout choices for your colors (including a swatch, tiles, checklist and more), sizes, WooCommerce attributes, categories and tags. 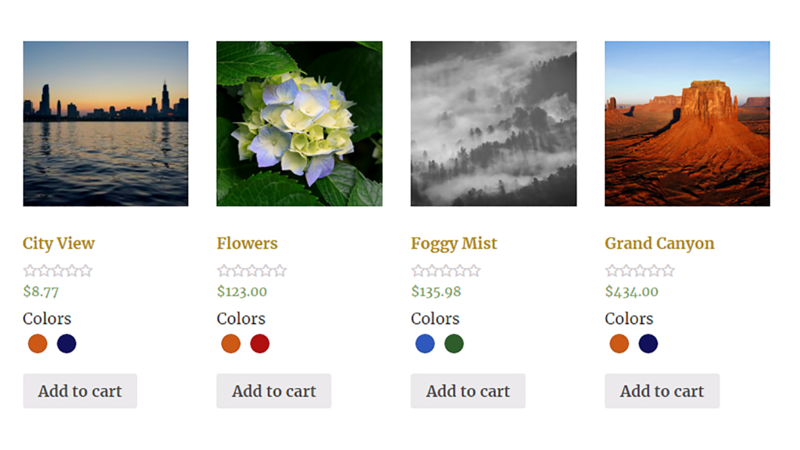 With the ability to set a different layout for each filter, including each separate attribute, you have full control over the widget and the look of your shop page. Give your customers a quick and easy way to know exactly what colors, sizes, attributes, etc. apply to each individual product by displaying this information directly below each thumbnail on your shop page. This will show below the price for each product and can be customized to suit your needs. 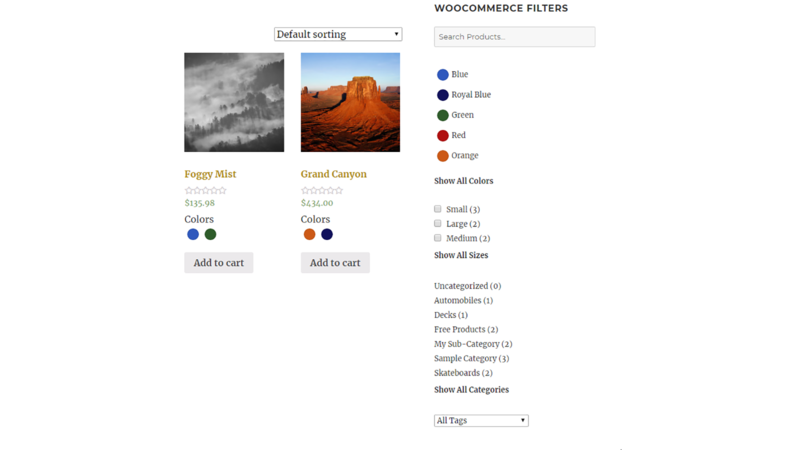 There are many options available in our WooCommerce filters plugin for customizing the filtering functionality and experience. Select the appropriate filters for your shop and set how you want them to function. There are also styling options that let you choose how you want the colors to be selected and more.